Water security in Asia and the Pacific is under threat. Improving agricultural water productivity, achieving energy needs, maintaining the resilience of cities in the face of rapid urbanisation and climate change, satisfying growing industrial water requirements, and protecting water quality and natural ecosystems all continue to pose deep challenges for development. The social, economic and political consequences of water shortages are real, as are the effects and impacts of worsening climate-related water extremes. 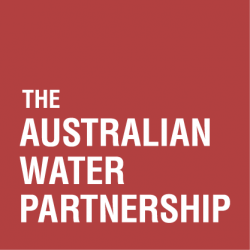 The Australian Water Partnership (AWP) offers a unique opportunity to bring together the Australian development and water sectors under a long-term strategic engagement framework. By sharing its experiences from three decades of water reform, and from learning to manage water as a scarce economic good, Australia can help international partners to develop a better understanding of their sustainable water resource base, implement robust basin-scale planning, enact governance reforms supported by innovative policy and legal frameworks, strengthen institutions and build professional capability, develop water sensitive cities, improve water quality and ecological health, and manage demand and improve water use efficiency, in a variable and drying climate.